﻿ Greenlife Saddle Rolling Massage steel base Stool, Hydraulic Adjustable, black GREENLIFE INC. 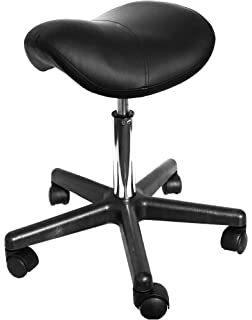 Height adjustable from 17" to 25"
The Professional Saddle Stool is perfect for a spa of massage center. 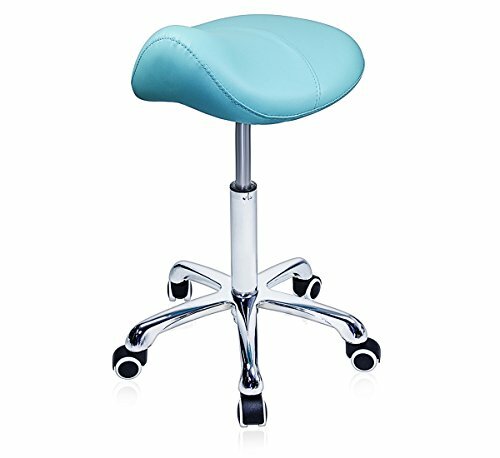 The saddle stool allows you to comfortably sit and give a relaxing massage to your client or patient. 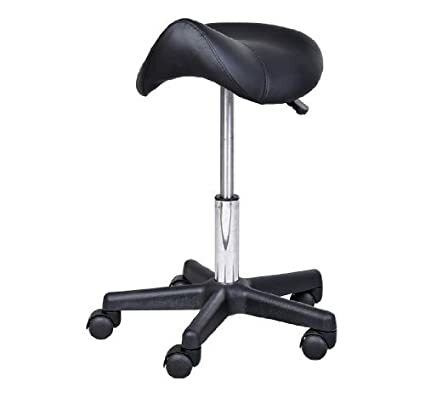 The professional saddle stool features a rugged chrome star steel base that allows you to comfortably sit while you give your treatment or massage. The saddle style seat has a swivel for added convenience. Multi-density padding for added comfort. Perfect for facial, massage, eyelash extension therapists//professionals as it allows you to get close and under your client. The saddle design reduces leg and body pressure and encourages proper posture. The seat measures 15x15 inch in diameter.